WANT OR NEED TO SELL A HOUSE IN BIRMINGHAM, AL? Sell your Birmingham area House fast! We buy houses in the Birmingham, AL area in all kinds of situations – vacant, taxes due, bad tenants, repairs needed, estate that’s not settled yet, pre-foreclosure, if you’ve received a notice of default or if you’re just looking for an easy hassle-free transaction. If you have asked yourself, “How Do I Sell My House in Birmingham Fast?”..then you need to connect with us… we at Partners Investments would love to make you a fair no-obligation, hassle-free offer and have you sell your house in the Birmingham area to us. We buy houses in any condition… as-is… let us take over the burden of that unwanted property. There are lots of situations where we can help, including but not limited to… avoiding foreclosure, going through divorce, relocating for a job, inherited an unwanted property, the house is vacant, behind on payments, owe liens, needs repairs you can’t pay for, fire damaged, and bad rental tenants. 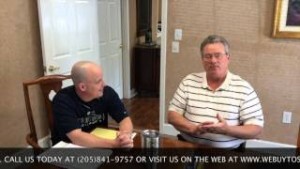 Bottom-line, if you have a property in the Birmingham, AL area and need to sell it… we’d like to make you a fair cash offer and close on it when you’re ready. We Buy Houses in Birmingham, AL!!! You’ve tried to sell your house but are running into roadblocks. You probably even tried calling a real estate agent. Sometimes selling a house the traditional way with a real estate agent is simply not the best fit for every situation. As you know, 95% of the time when you try to sell a house with an agent, you have to clean up and repair the property so it shows well. Then finding an agent who you trust and who can deliver on their promise (selling your house quickly), signing a contract that binds you to an agent for a certain term, the piles of paperwork you have to sign, shuffling paperwork back and forth from buyer –> to agent –> to you… and back, can get to be too much of a hassle. We at Partners Investments work differently. We will provide you a fair all-cash offer on your house within 24 hours of submitting the short property info form below and can close when you want to close. If the house is in terrible shape and you don’t want to (or can’t) fix it up… NO problem, we’ll deal with it for you. If you need to get something done quickly, we can close in as little as 14 business days because we buy houses with cash and don’t have to rely on traditional bank financing. We help property owners just like you, in all kinds of situations. From divorce, foreclosure, death of a family member, burdensome rental property, and all kinds of other situations. 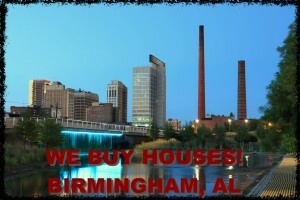 We buy houses in Birmingham and other areas of Jefferson and Shelby County. Sometimes, those who own property simply have lives that are too busy to take the time to do all of things that typically need to be done to prepare a house to sell on the market… if that describes you, just let us know about the property you’d like to be rid of and sell your house fast in Birmingham, AL for cash. If you prefer to talk to someone in our office before submitting your property information just give us a call today at 205-841-9757!